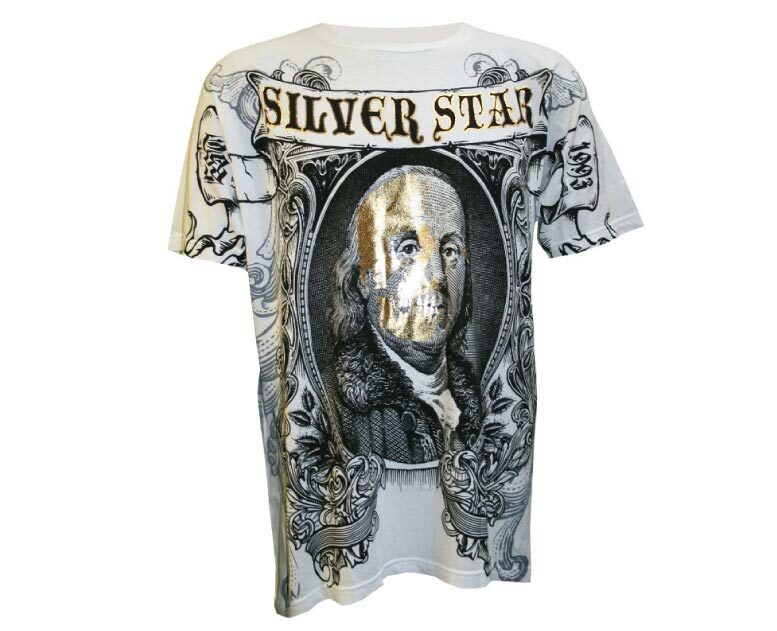 We have scoured the web and hand selected a set of 10+ gold foil t-shirt designs to spark inspiration and also showcase what can be achieved with gold foil in t-shirt printing. A vintage style Ramones gold foil design on a rough cut t-shirt. large gold foil block lettering will certainly grab anyones attention. On closer inspection you can see a grid pattern running through the large block text. 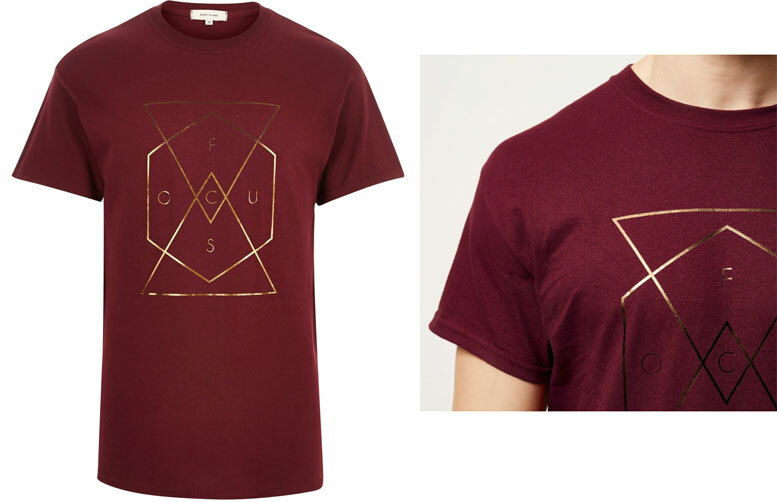 The grid pattern is just plain t-shirt colour, so at no added cost, this design has been able to inject even more interest to some already killer custom type. 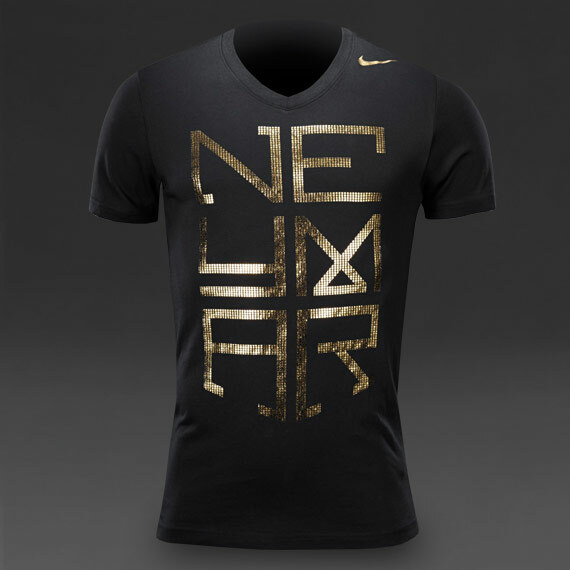 Keeping in mind that gold foil is not the best with fine detailed prints, this t-shirt graphic shows how a distressed texture on the edges of a graphic can look, once printed. A large graphic with some finer details. Like we mentioned in our previous post The definitive designers guide to gold foil, keeping the fine details in your graphic to a minimum of 3 points will keep the details from disappearing into a blob of gold foil. 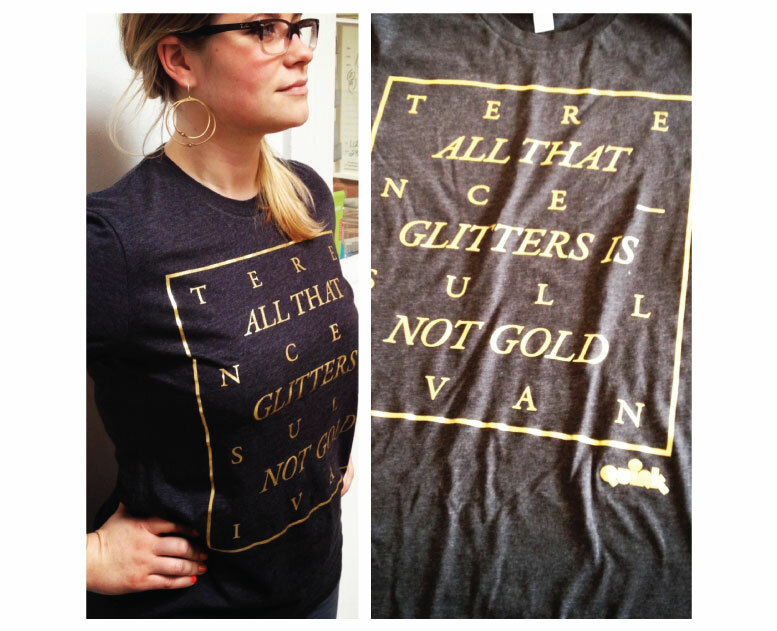 Simple hipster typographic t-shirt design, utilising the shimmer of gold foil to enhance the graphic. 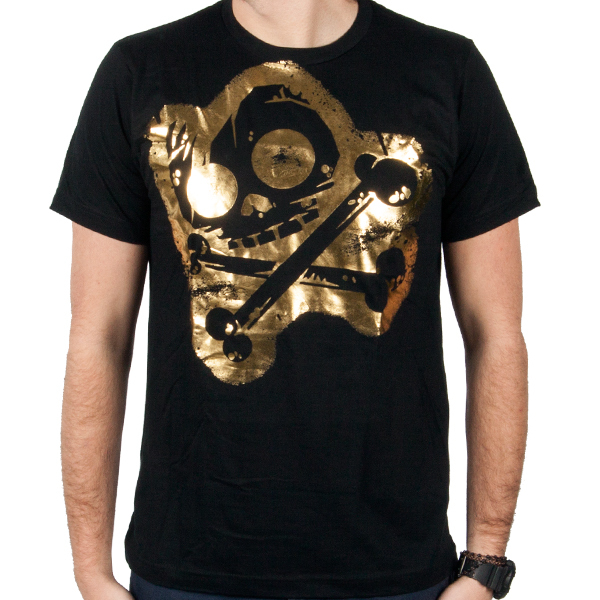 Another example of the level of detail you can get into a gold foil t-shirt print. 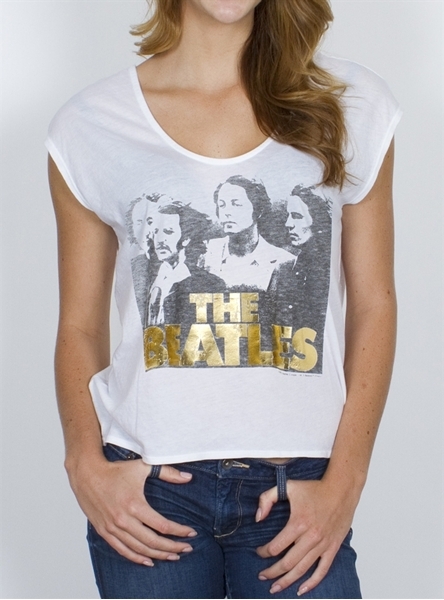 Water-based ink (fab four print) printed alongside gold foil text, the perfect mix. 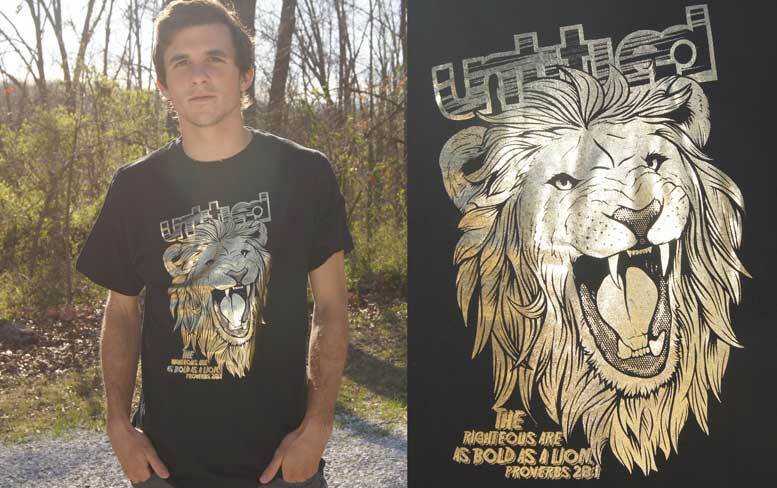 Note: due to the heat pressing process gold foil can only be printed next to water-based or discharge inks. 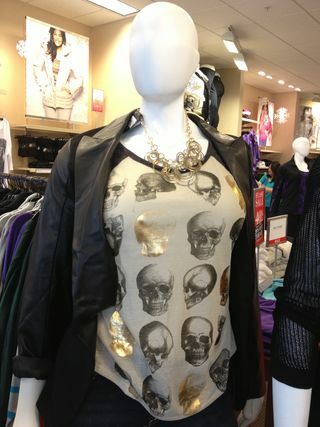 Check out our article on screen printing with gold foil for more information. 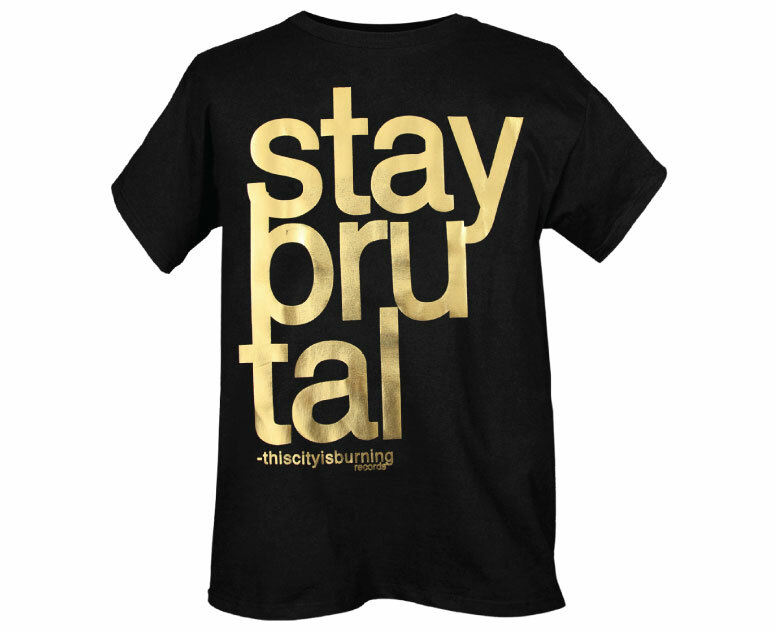 Gold Foil print on plain white tee, simple and stylish. 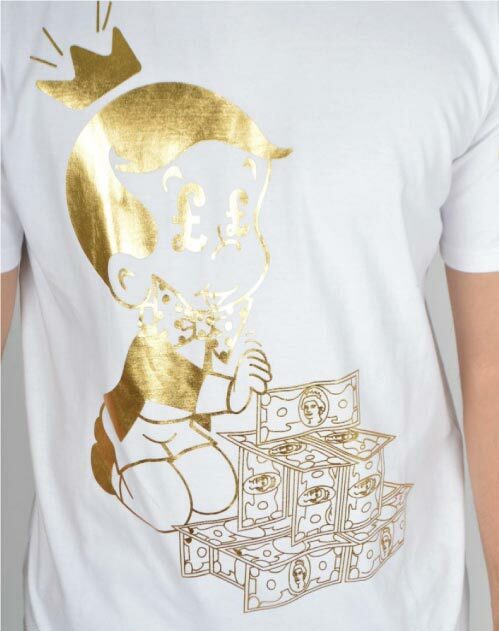 A Richie Rich inspired t-shirt graphic, makes complete sense to print this in gold foil. What says high roller more than gold, right? 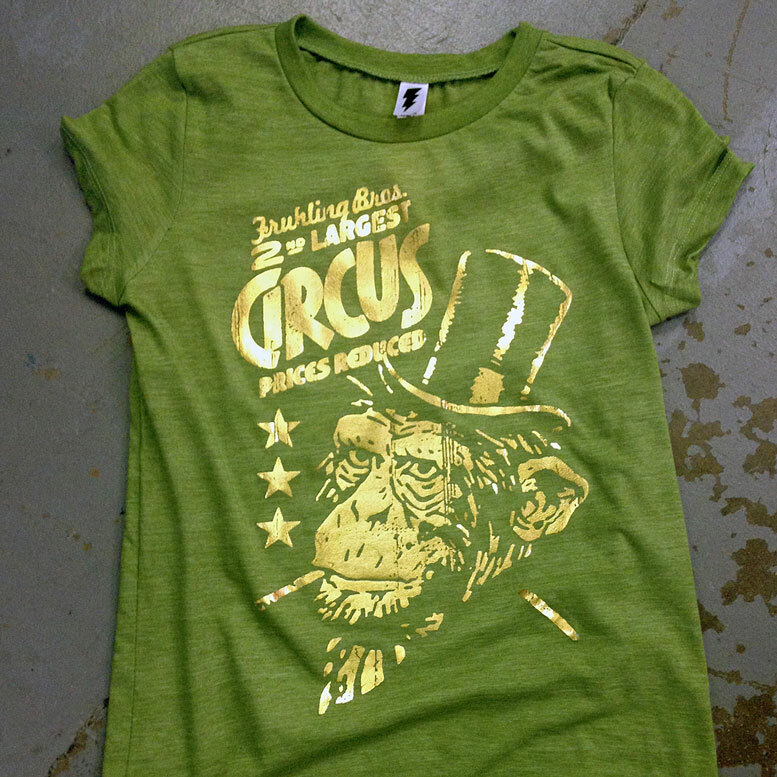 Another great example of multiple color prints, gold foil printed alongside black and grey waterbased ink.